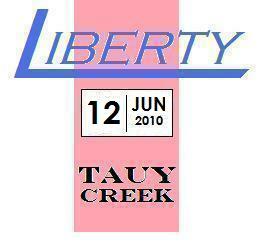 Tauy Creek: No. 12: Catch! The kickball game was set up at the end of the cul-de-sac. The pitcher stood where the street widened and the kicker stood in the center of the cul-de-sac. Cal was placed in the outfield position behind the pitcher. Moe, a stocky horse of a kid was first up to kick. “Try not to kick it as far,” one of the girls said from the mailbox that was second base. “Haw! You’re just jealous that you can’t ever catch any of my balls,” Moe said. Aaron pitched the ball to Moe whose foot connected with it, sending it sailing over Aaron and Cal’s heads. “Haw! Home run!” Moe bellowed and began running the bases. Cal shrugged and took off down the street to get the ball. The left the cul-de-sac and bounced across the main road then rolled into the sewer. Cal sighed, looked around to make sure no one was watching and then went in after it. Standing on the concrete slab in the sewer, Cal looked for the ball but didn’t see a sign of it. “Looking for this?” someone said. Cal turned around and saw an old man coming out of the shadows holding the kickball. “Yeah. A friend kicked it and it rolled down here,” Cal chuckled. “I’ve been waiting a long time for you,” the old man said. “Cal. Cal Ferguson. Calliopes?” Cal questioned. “Small furry creatures. They live about three miles under the soil,” Manford said. “You don’t believe me about the calliopes,” Manford said. “Follow me,” Manford pushed by Cal still carrying the kickball. “I just want my ball back…” Cal sighed and reluctantly followed Manford. Manford stopped at the wall and knocked on the concrete. Cal felt like just leaving when the wall began moving. A bright light emanated from the area behind the wall. “I brought the crimson orb,” Manford said. The calliope who opened the wall led Cal and Manford down a spiral staircase. “There are only three entrances on Earth to our land. This, one in India and the other in the Pacific Ocean. Needless to say, we don’t use that one very often,” the calliope said. “So how long have you all been down here and why did Manford need that ‘crimson orb’ to get in?” Cal asked. “An hour or so,” the calliope said. Cal turned and looked at where he came in and sighed. The City was a beautiful metallic gold image of spires, onion domes and minarets. Cal marveled at the architecture and wondered how this civilization could be so advanced by just living in the center of the Earth. The calliope led Cal and Manford through the streets and to the Grand Hall. It was here that the calliope began speaking again. “Our society has been greatly advanced. For millions of years we worked on trying to get off of Earth and back to our own planet. Unfortunately, we were never able to copy the ship that was destroyed in the crash and the longer we were here, the more calliopes reproduced and now, if we were to build a ship, it would have to be roughly the size of the city to support us all,” the calliope explained. “Why do you want to leave? You seem to have a pretty good setup here,” Manford said. “Say, do you have a name?” Manford asked. “It had crossed my mind since now everyone has just taken my kickball with any regard to me…” Cal said crossly. “We’ve been working on it for nearly a century and all we need now is a rubber ball to absorb the electricity. We predicted that it would be a crimson ball, like this one, that we would use so we enlisted Manford here to watch for it,” Jack explained. “Jack said one would appear,” Manford defended. “So I thought it would be something special,” he shrugged. The Vizier’s place was huge and littered with broken gadgets and half-finished inventions. “Mauraton! Look, we have the rubber orb you asked for!” King Saskiad rejoiced again. “Excellent! I can put it in and begin warming up the machine…What are they doing here! ?” Mauraton shrieked. “They loaned us the ball,” the King began. “I loaned you the ball,” Cal corrected. The Banquet Hall was filled with high ranking calliopes when Jack brought Cal and Manford down from their sleeping quarters the next day. “Isn’t this exciting, Cal?” Manford asked with glee. “I just want my kickball back,” Cal sighed. King Saskiad was talking to Mauraton about the teleporter. “And when will it be operational?” the King asked. “Pretty good. Although my friends and family are probably worried to death about me,” Cal said. The feast started out with breakfast items. The whole thing consisted of eating, drinking and conversing. Manford got more into it than Cal. After the breakfast portion was finished, Mauraton got up from the table. “Manford, could you join me in the kitchen, please?” he asked. Manford scooted away from the table. “Sure.” They walked to the kitchen and Mauraton began making a drink in a fancy, gold plated cup. “What’d you need?” Manford asked. “Well, it is very nice. I loved the egg-type things we had. Where’d the eggs come from?” Manford asked. “They are genetically engineered eggs from our females. They are delicious aren’t they?” Mauraton chuckled. “Uh, yeah…” said Manford, uneasily. An hour and a half later, the lunch portion of the feast began but was quickly interrupted by King Saskiad gasped for air. Calliopes tried to help but within a few minutes, the King was dead. “Wait! The King did have a drink specially made for him in his own glass,” said someone else. “It was delivered by the human!” the calliope pointed to Manford. “You slept in the library room last night so you could’ve read about it then you could’ve snuck into the Vizier’s lab before dawn and stole the flakes,” said the medic. Cal and Jack looked on helpless as Manford was tackled, handcuffed and dragged away. Cal and Jack sat in the library room. “I should get you back above ground. Don’t want anyone to start accusing you of something,” Jack said. “But Manford is innocent. Besides, doesn’t anyone else find it odd that Mauraton took control of the City immediately after Saskiad died?” Cal asked. “It is unorthodox but Saskiad had been our king since the beginning. If someone hadn’t taken control, there may have been panic,” Jack said. “How is the king normally chosen?” asked Cal. “I think Mauraton is up to something and that it needs to be investigated,” Cal suggested. “Come on. Let’s go see Mauraton,” Jack said, standing up. The Vizier’s room and lab were completely silent. The only sound was the hum of the teleporter. “I wonder if this teleporter even really works,” Jack asked. Jack went over to it and attempted to shut it down. The hum died away and the light around the kickball faded away. Suddenly the kickball flew through the air and smashed Mauraton in the face. Mauraton fell down and both Cal and Jack towered over him. “I saw an opportunity and I took it. I did build a teleporter but I built it large enough to teleport the City above ground, destroy one of Earth’s major metropolis’,” Mauraton explained. “What are you talking about? It’s only been fifteen minutes. Besides, the ball went a really long way…” Cal winked.